I live in a little town North of Nashville TN. Gallatin TN. William H. Nix, III posted a message. William H. Nix, III has a birthday today. You may remember Trippy instead of William H. Nix lll . I hope you are Well and Happy on your Birthday and will have many more even better. Happy Birthday Beth !!!!!! Can you still shoot pool ? 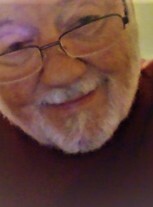 William H. Nix, III changed his profile picture. William H. Nix, III updated his profile. View. William H. Nix, III changed his "Now" picture.